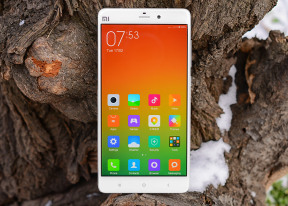 The Xiaomi Mi Note comes with the feature-rich MIUI Browser, now with new flatter looks. It does a great job browsing, syncing with your Google account, supports downloads, there is a night mode, too. It is as almost fast as Chrome, but does not support Find on Page. There is also a dedicated Night Mode, which is something we really miss in Chrome. It inverts the background and font colors and is easier on the eyes at dark rooms. The Xiaomi Mi Note offers a great file managing app called Explorer, but there is no document viewer/editor pre-installed. There are plenty of free options in the Play Store (even ones made by Google), so this shouldn't pose a problem. Xiaomi Mi Note features the WPS Office suite, which supports creating, viewing and editing office files (docs, xls, ppt).